Scott Grooves doesn’t need to prove himself deep, but on this new white label he promises to do just that. “Prove Myself Deep” has the sweetest synths since Derrick May’s “Icon.” An acid bassline, burbling synth queries, and the occasional hiss of gas lay the groundwork. “Patience” has echoes of Analord for an old IDMer such as myself, but the catchy melody is pure Detroit. An entire side is reserved for the hardest track of all. “Adapt” builds on a chunky 303 groove, reinforced by bass pulses. Elements come in quickly, including a dubby chord and a train-whistle-like vocal sample. Around the five-minute mark, there’s a 303 bass solo which feels like something out of a sci-fi flick. While the A-side is more my style these days, nothing here seems out of place. 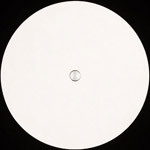 This is one 12-inch that reinforces the idea house and techno are two sides of the same coin. http://charlotteskitchendiary.com/2012/09/21/damson-day-with-vivien-lloyd/dsc_1814/ best synths since icon? hold up…. this record and coco brown are mega beautiful!